14.0mm x 100mm for space bar. 1. 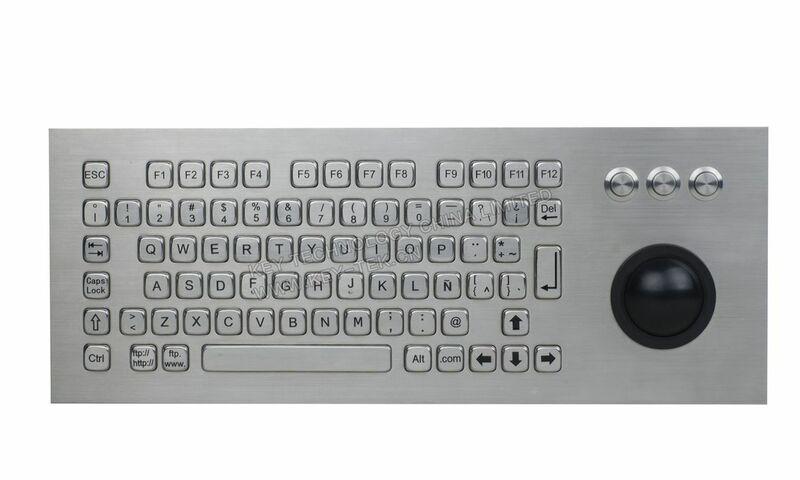 82 Keys Compact Format IP65 Vandal Proof Stainless Steel industrial Keyboard. 2. with 50.0mm hard resin mechanical trackball module with 400DPI resolution. 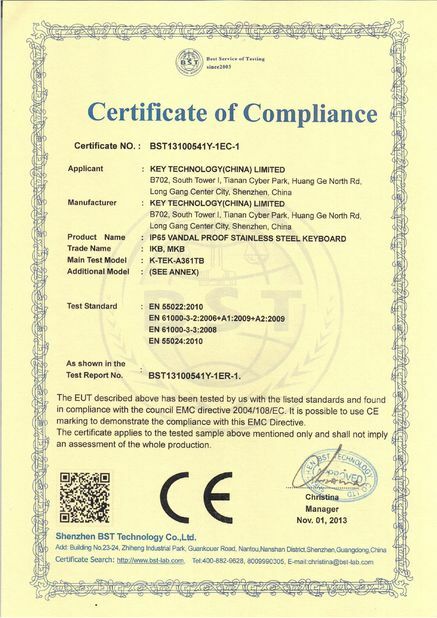 2. industrial PCB with carbon-on-gold key switch technology with long stroke (2.0mm) with extremely good tactile feeling for fast and accurate data input without any noise. 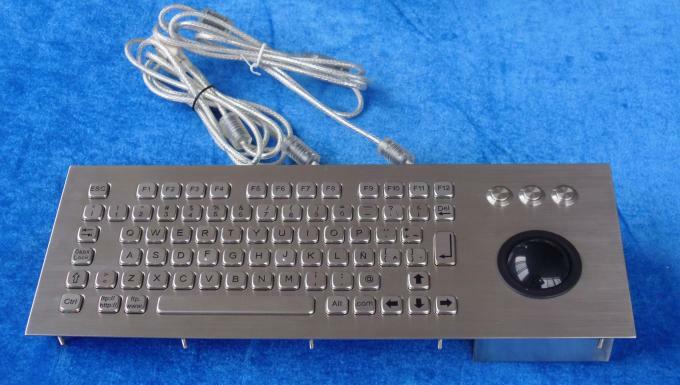 3. function keys F1, F2..F10, F11, F12 are on the top panel for easy operation. 4. 3 mouse buttons designed for right & left clicking and scrolling up and down with ball rolling. 5. one complete silicone rubber under the top stainless steel plate for easy mounting & sealing tightly with cabinet. 6. stainless steel top plate with threaded bolts for top panel mounting solution. 7. PS/2, USB connection plug and play with PC via PC existing OS driver, no needing of install separate driver. 8. Waterproof execution according to IP65 protection from top panel, top stainless steel plate with threaded bolts for easy tightly mounting to enclosure or panel. 9. 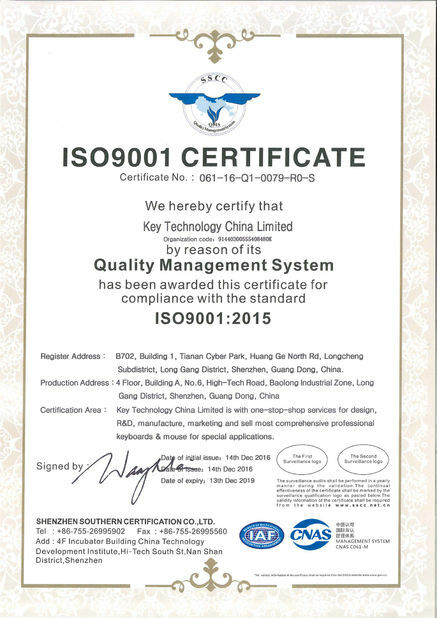 Complete electronic modules including controller in close consultation with our customers are available. 10. Imposing stainless steel design, specially designed keyboards meet the highest demands with regard to design, functionality, longevity and high protection level. D: ticket vending machines, gas stations, cash machines (ATMs), Internet public phones etc.